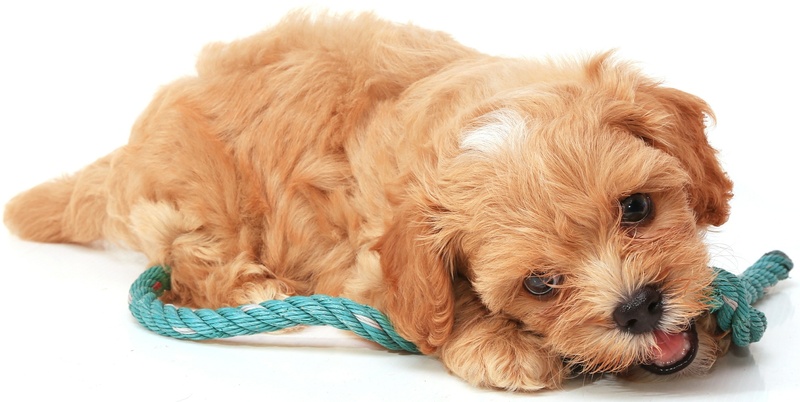 This little guy is a cavalier secretly disguised as a poodle. He is the sweetest little guy and is such a gentleman. He is extremely calm and well natured, and everyone that meets him falls in love. He was purchases as a toy size from a registered breeder, however being an only puppy he grew quite big and could actually be classed a s a mini. 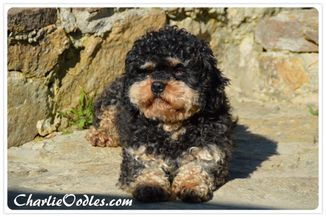 He sire's the majority of our litters and we always have such wonderful feedback from his puppies with many people saying they have his lovely nature. For more info on Ruben please click on his image. Our handsome big boy Alfie is the sweetest boy. He is definitely a mummy's boy (as in human mummy) and is very loyal and sweet natured. He loves his cuddles and alone time with his mum. 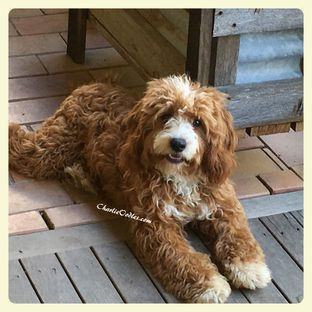 His biological mum was a Parti chocolate poodle (Pepsi) and dad is 2nd gen cavoodle Buddy. He is a very big boy, having outgrown both parents considerably so we only use him for our bigger girls, such as Gemima and Molly. With thanks to our wonderful Guardian home families we also have access to and use/have used the boys pictured below. Our sweet little oscar is the smallest male in our breeding program. He is only around 3kg and such a little sweetie. 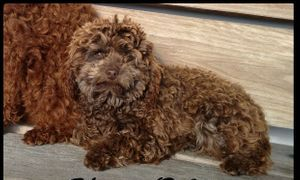 His mum was a 2ng gen cavoodle and dad is Milo the chocolate Toy Poodle. Reggie is a gorgeous first gen Toy. He is only used occasionally as i prefer not to breed with 1st gens due to the inconsistency within the pups. So he only comes to our place for honeymoons occasionally. Barney is only occasionally used now as he now lives full time with my mum. He has the most amazing personality and produces outstanding puppies. 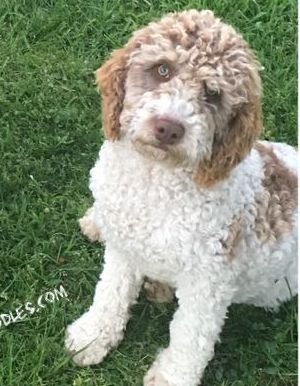 He is out of our stud poodle Ruben however is twice the size of day (at least) he definitely has dad's amazing personality though. Barney is the sire to a few of our breeding ladies that we have either kept or put in to guardian homes. The Georgeous Buddy Boy was bred by us and is still one of my all time favouries. 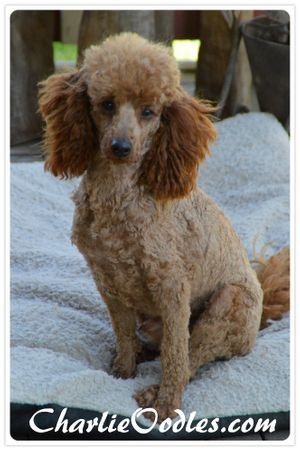 He really has the best of both breeds with the Cavalier face, colour and nature but the delightful poodle curls. 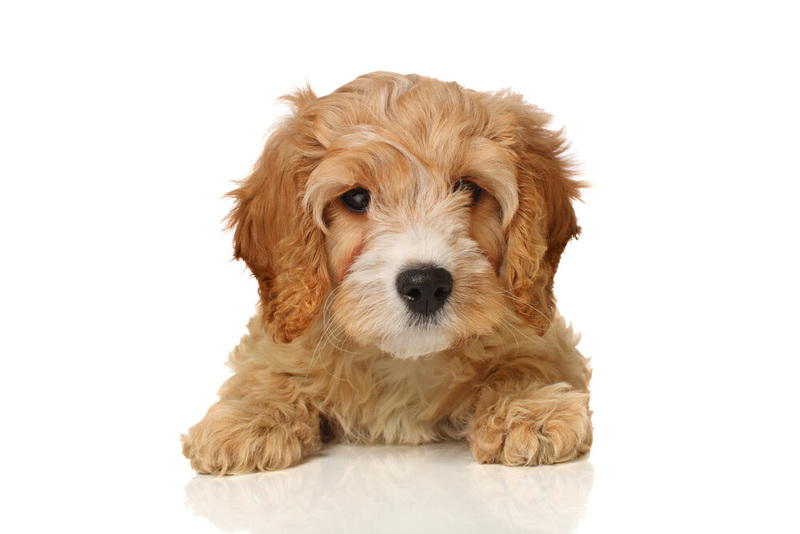 He is a very small Cavoodle, considerably smaller than both parents and often gets used in our toy breeding program.